Yesha Council Director Shilo Adler presents 'East Dan Bloc' plan, explains it's most appropriate response to housing crisis in Israel. The National Conference on Private Construction and Settlement 2018 was held at the Dead Sea today. The discussion, Is the State of Tel Aviv Destroying the State of Israel, in which members discussed sectoral differences in Israel, was attended by JNF Chairman Benny Atar and local council heads from all over the country: Alon Davidi of Sderot, Alon Shuster of Sha'ar Hanegev, Shai Hajaj from Merchavim, Eli Malka of the Golan Heights, Ron Shani of Misgav, Arie Cohen of Megilt Yam HaMelach. Yesha Council Director Shilo Adler presented the "East Jerusalem Bloc" plan to the Yesha Council and the Housing Ministry. 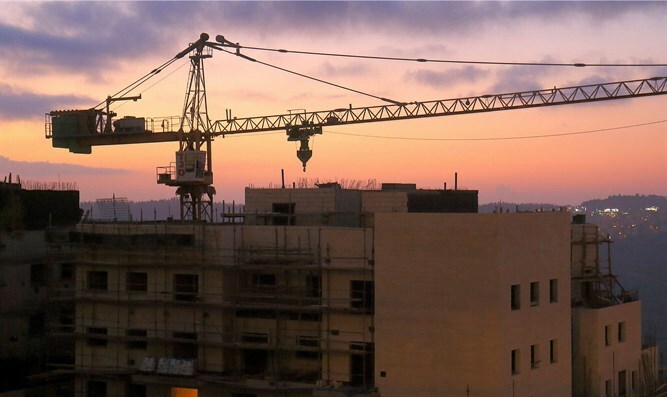 "This is a plan that will save Tel Aviv and the central region from a collapse that will G-d forbid occur because of population growth," said Adler. "The plan is groundbreaking, you have to stop looking only at the longitude of Gedera - Hadera, you must look from east to west. From Tel Aviv to Ariel. "This is the most appropriate response for the future of the State of Israel. The enlargement of the Dan region by 40% on the eastern side is an optimal window of opportunity for a right-wing government, a sympathetic administration that supports the United States, and with no equal partner on the Palestinian side. This is the opportunity for a broad public response of tens of thousands of housing units. This is the time to respond to the haredi population. The time has come for another haredi town in Judea and Samaria, beyond Modi'in Illit that already has 80,000 residents, and Beitar Illit that has 60,000 residents. "Judea and Samaria and the Jordan Valley are 23 percent of the territory of the State of Israel, and already has half-a-million residents. This is the time to expand significantly and pull the Dan region eastwards - this is the most appropriate response to the housing crisis in the State of Israel."